If you are living in Colorado and you have missed a few mortgage payments, the lender can start the pre-foreclosure process and then foreclose on the property. In Colorado, lenders can either use a judicial foreclosure process or a nonjudicial process. 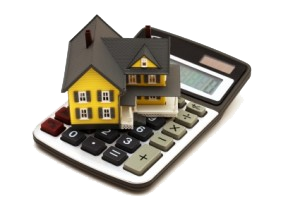 In most cases, the lender will use the nonjudicial procedure because it is less costly and more efficient. Judicial Foreclosure Process The lender must initiate a lawsuit in court if they choose to use the judicial foreclosure process. If you wanted to challenge the foreclosure, the case would go through litigation. Nonjudicial Foreclosure Process According to Colorado law, the lender must complete certain steps out of court before they can sell your property at auction. Since this is the most commonly used process, it is important that you understand the process. Most states have a private trustee that conducts nonjudicial foreclosures. Colorado is different. These foreclosures are handled by an official known as a public trustee. A foreclosure officially starts when the lender files a Notice of Election and Demand with the public trustee. The public trustee will then record the demand with the recorder and country clerk. After the Notice of Election and Demand has filed, the public trustee will set a date for the home to be sold at auction. The sale date cannot be scheduled any less than 110 days from the date that the Notice of Election and Demand was recorded. It also can not be scheduled more than 125 days after the demand was recorded. You will be sent a Notice of Sale and Right to Cure and Redeem twice from the public trustee. The first letter must go out 20 days after the Notice of Election and Demand has been filed. The second notice should be sent no less than 45 days and no more than 60 days before the scheduled sale date. The document would include the date and place where the sale will be held. It will also contain the information that you need. Finally, the trustee is required to publish a notice in the local newspaper. Even though the lender is using a nonjudicial process, the court does get involved. The attorney for the lender would file a motion under the Colorado Rules of Civil Procedure, Rule 120. This motion asks the court for permission to authorize the sale of the home. The court would then set a hearing to determine whether you are actually in default and whether or not you are in the military. If you are, you could be protected under the Servicemembers Civil Relief Act. You will receive a notice of the hearing in the mail. It will also be posted on the property no less than 14 days before the court date. If you don’t respond to the notice, the hearing would be canceled and an order would be entered that would allow the sale of the home. The lender must follow the process of foreclosure to the letter. This is so that you have ample time and notice to do something to stop the process and keep your home.